Billabong offers a wide range of products and services at incredibly low prices in Australia. These Billabong promo codes expire soon, so don’t forget to bookmark this page now. New Billabong discount: Purchase mens accessories & clothing from just $2 AUD at Billabong. 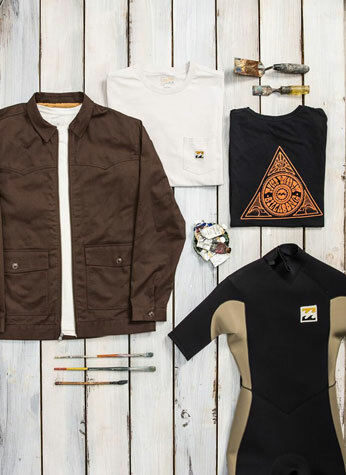 Billabong free delivery offer: Purchase menswear, womenswear, kids collection etc valued to $80 to enjoy free shipping on your order. Limited time Billabong coupon: Go for kids collection which starts at just $9.99 AUD. Latest Billabong promo code: Womens Collection starts from as low as $12.99 AUD at Billabong. Exclusive Billabong voucher codes: Purchase Kicks Marble thong for just $17.99 AUD at Billabong. Seasonal Billabong deal & sale: Billabong is offering fashionable jackets with price starting from $89.99 AUD. Shop now! Billabong is a renowned name in Australia and its history dates back to 1973. Founded by Gordon Merchant and Rene, Billabong was initially started as a boardshorts company, but now it sells apparels, wetsuits, eyewear, accessory, and many other products to more than 100 countries around the world. The company launched its website in 2009 and ever since then millions of people have shopped through Billabong online. You can make use of Crocs coupon code for maximum savings. From best-selling brands to stylish outfits, everything is now available at striking deals. Add all the items to your cart. Next, click on “Check Out”. Your cart will open. It will list all the items you added to your cart. At the end of your products’ list, you’ll find “Enter Promotion Code”. Now copy your promotion code from wherever you got. Paste it in the space provided next to “Enter Promotion Code” label. If your promotion code is valid, the “Order Total” will show the deducted price after discount. Shop from a wide range of must have clothing & accessories from CCS and other such leading providers offering boardshorts, backpacks and many more at discounted price. Billabong has a stimulating channel on YouTube that has videos on their products and much more news on surf, skate, snowboarding. Billabong provides free shipping all over Australia for orders amounting to more than $80. Billabong uses Star Track Premium service for delivering their products, which does not require the receiver’s signature. Hence, the order placed by you will mostly be delivered to your mailbox or at the door. If you place an order before 2 pm AEST, the order will be dispatched the same day and you'll probably receive the order within 1-2 business days for metro areas. For regional areas, it may take 2-5 working days. Bulk items like surfboards, skateboards, and travel bags, will take around 1-7 days for metro area delivery and 7-14 days for regional area delivery. If under certain conditions, the order contains more than one item, it may be delivered in separate packages, due to unavailability of the stock. You'll be notified about this, through the contact number or email provided by you. You can place a complaint about fault or damage caused in the order within 5 days of receiving the order. If your order is misplaced or lost by Billabong, they'll replace the order after an investigation. However, Billabong will not be responsible for any damage or loss if an incorrect address is provided by you. If you’re not satisfied with the products of Billabong, you can return them for a refund. You can place a return order within 21 days of the purchase date. It must have been ordered online only. If your order is not faulty or damaged, then it must be in new condition, including packaging and all the labels. You can return worn swimwear, but it should be unworn and have all the protection stickers and tags. Swimwear must be returned in a set only. You can return your order by first placing a return order through your online account on Billabong. You’ll be given an online authorization form after completing the return order process. This must be sent with all the items of the order. Billabong does not provide free return service. Your order is eligible for free return service only if it was faulty. For returning a faulty item, you need to contact Billabong’s Customer Service team to receive a free return postage label. Billabong is very active on Social Media platforms and you'll enjoy reading their updates on new launches, events, and offers.